Features: to protect the workpiece is not oxidative decarburization; to protect the oxidation of the heating element; reduce the workpiece within the gas; smelting metal can be added more easily oxidized elements. Vacuum resistance furnace: external vacuum furnace, internal vacuum furnace. 2, carbon tube furnace, 3, vacuum induction furnace. (2) most of the heating and insulation materials can only be in a vacuum. 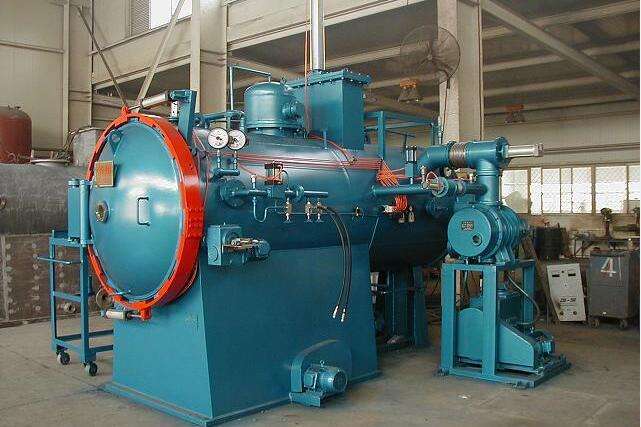 Please send us your inquiry about the customization of other furnace types or related questions about vacuum furnace. We will reply you immediately. Thank you. SIMUWU VACUUM FURNACE, The company specialized in industrial vacuum furnaces manufacturing. Our furnace including heat treatment vacuum furnaces such as vacuum gas quenching furnace, vacuum tempering furnace, vacuum annealing furnace, vacuum gas and oil quenching furnace etc for metal heat treatment industry. SIMUWU was founded by several experienced engineers who has been working in vacuum furnaces and heat treatment process for 20years. We are really know the vacuum furnace. Your technical requirement is really understood and achievalbe by our engineers. Also our sales team can provide you 24/7 online work, your questions will be tackled immediately! Address: NO.1299, XinJinQiao Road, Pudong New Area, Shanghai, China.